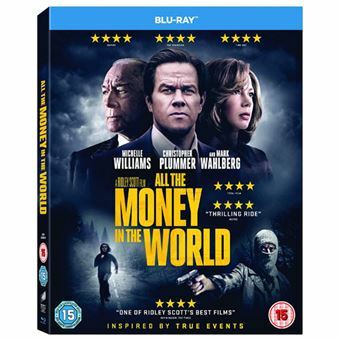 ALL THE MONEY IN THE WORLD follows the kidnapping of 16-year-old John Paul Getty III and the desperate attempt by his devoted mother Gail to convince his billionaire grandfather to pay the ransom. When Getty Sr. refuses, Gail attempts to sway him as her son’s captors become increasingly volatile and brutal. With her son’s life in the balance, Gail and Getty’s advisor become unlikely allies in the race against time that ultimately reveals the true and lasting value of love over money.